Mobile data packs lets you get affordable data tariff for cellular data usage on the go. With the rising number of smartphones user and the decreasing cost of internet, the overall connectivity of people to the world of internet is rising day by day. About 97% of the total internet users of Nepal are connected to the internet with their smartphone. The use of the smartphone for the internet is rising globally due to the portability, ease of use and the increased ability of smartphones. In the context of Nepal, on an average, over 6,581 new users are connected to the internet every day. The latest Management Information System (MIS) report prepared by Nepal Telecommunications Authority (NTA) shows that internet penetration in the country reached 61.09 percent of the total population till mid-July 2017. As per the NTA MIS report, 16,186,759 people in the country had access to internet/data services till mid-July — an increment in internet users by 2,402,141 compared to internet penetration of 13,784,618 recorded till mid-July, 2016. The calculation based on the aforementioned data show that more than 6,581 new users in the country are connected to the internet every day. This overwhelming data made us write this article. Many internet users in Nepal do not know how to use the internet in a cost-effective way. There have been many complaints towards the Telecommunication operators about the high cost of internet. And people have been complaining about deducting more money form their account. This happens mostly due to background data and the no usage of data packs. Data Packs are blocks of data volume available for purchase which allows users to download a specific amount of data each period (1GB, 2GB, 5GB, etc.). Data packs are available in pre-paid basis, i.e. users must pay for the specific amount of data volume before they use it. The data packs are valid for a specific period of time like Daily, weekly, monthly or more. All the telecom company of Nepal provides data packs to the customer here. Nepal Telecom, Ncell, and Smart Cell are the major players in Nepali telecommunication industry. All these telcos are coming with competitive price in data packs. 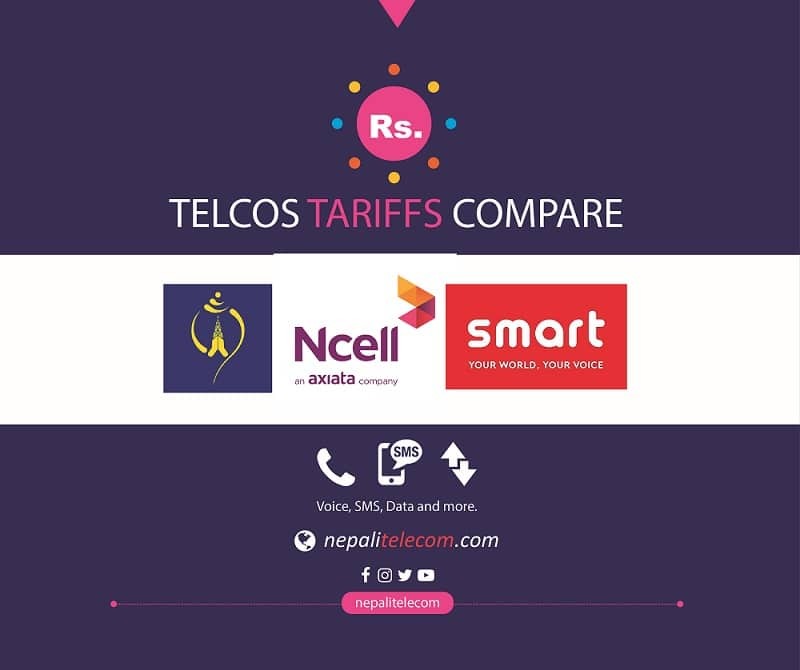 Find the latest data packs offer of Ntc, Ncell, Smart cell here. Application specific data packs according to the user needs. For example, Facebook Pack, YouTube pack etc. Furthermore, telcos are coming with unlimited data these days. 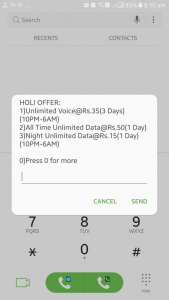 Nepal Telecom is providing all time Unlimited Data @ Rs 50 for 24 hours. Whereas Ncell provides unlimited data @ Rs 20 for an hour. Smart Cell also provides unlimited data packs for night time which is a good option for high volume data users. The data packs offer certain volume of data for a limited time (daily, weekly, monthly). If you pay the price for the data packs and do not consume all the data in that time, you will waste your money for unused data. So, for people who do not consume more data, it is better to pay usage based that is pay per MB. Smart cell has the lowest data tariff for this pay per go category of Rs 0.50 per MB. Secondly Ntc has been providing Rs 1 per MB data tariff, without any data packs. How to Subscribe Data Packs? Nepal Telecom users can subscribe data packs by dialing *1415#. There is a wide range of data and voice packs available to customers. Customers can choose packs according to their needs. Ncell users can dial *17123# to buy data packs. *141# is the USSD code for subscribing data packs for Smart Cell customers. Mobile data packs are the best way to use the internet in smartphones effectively. The plans that are available to the customers according to the user needs and the low price makes data packs suitable for mobile data users. Furthermore, some of us do not use the high amount of data in mobile phones. For those people, data packs might not be a good option. As data packs have limited validity and fixed price, the data that are surplus or unused data are totally wastage of money. What do you think of mobile data? Do you prefer using internet by subscribing mobile data packs or without? Please let us know in the comment below.